Every city and state must deal with the possibility of pedestrian accidents. However, some manage to do so more efficiently than others. In recent weeks and months, however, studies have shown that Florida has one of the highest overall rates for pedestrian accidents and injuries. If you walk or ride your way around, it is worth knowing your rights and responsibilities as a pedestrian. 2014 data reports that approximately 4,900 people were struck by an automobile and killed while walking on the street, which works out to roughly 13 fatalities per day. That data comes from Smart Growth America (SGA), an urban planning organization that publishes an annual report that names the most dangerous metro areas for pedestrians. Their statistics are based on an amalgamation of local records and national figures on racial and economic backgrounds of the relevant areas – these factors can play a role, because if a neighborhood is smaller or less affluent, more people will walk or take public transit than would happen in a spread-out, prosperous area. Out of the 20 most dangerous metro areas in the United States for the most recent available data, nine are in Florida. SGA has been tracking data since 2009, and each year, Florida has been the overall most dangerous state for pedestrians. There are multiple reasons why this may be the case, and it can be helpful to know if you are perhaps disproportionately at risk. For example, the data show that elderly people are more prone to becoming accident victims than those of younger years. There are many more elderly people in Florida than there are in other states with more commonly inclement weather. Since SGA’s reports have become public, Florida officials have taken steps to reduce pedestrian fatalities. A Complete Streets Implementation Plan was created in early 2015, designed to improve Florida’s streets in conjunction with SGA. Urban planning initiatives plus increased crackdown on those breaking safety laws – both for pedestrians and drivers – have helped Florida’s fatality index decrease – but it is still the worst in the nation as of this writing, so there is work to be done. If you experience being hit by an automobile or other motor vehicle while walking or biking, you may have a case to recover for your lost wages, pain and suffering and the other injuries you or your loved ones may have suffered. While Florida’s acknowledgment that the streets can be dangerous is not dispositive in terms of determining negligence, it can make a difference in the sense that the state’s plans for urban planning reform are out there but have not been acted upon – or have been acted upon with insufficient results. You may be able to use this information to show that the street where you were injured has insufficient safety protocols in place, which can help a case against either the state or the offending driver. 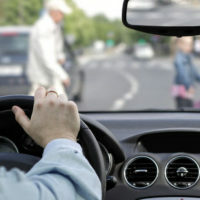 Even though Florida is a somewhat dangerous place to be a pedestrian, that does not mean that you should accept danger or poor treatment if you are involved in an accident. If you need a knowledgeable attorney, the Orlando pedestrian accident attorneys at the Hornsby Law Group can help you decide the best path to take in bringing suit, and how to move on from there. Call us today to set up an appointment.